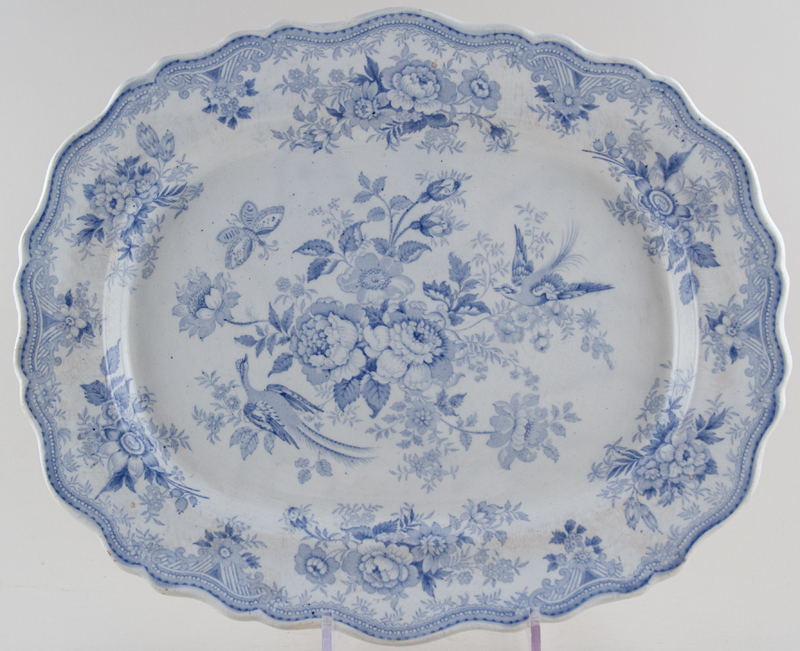 Lovely wavy rim platter. Backstamp: Asiatic Pheasants Wedgwood & Co and impressed Wedgwood & Co. Light all over crazing with a little loss of glaze to the stilt marks, a little wear to the outer rim and the occasional minor blemish. OVERSEAS SHIPPING OUTSIDE EUROPE Owing to the size of this item a supplement of � about US$52 will be added to the standard overseas shipping charge.